Just because these rights listed in the Constitution doesn’t mean that you don’t have other rights too. Case I have been accused of a crime the police yelled at me when they were questioning me. Did they violate my rights? If so which amendment in the Bill of Rights covers this. Case. I have been accused of and arrested for stealing a car. I have been kept in the Jail for 3 years with no trial. One day the prison let me go. Why what amendment set me free and why? Go to Classmaker.com and take the Test. Your login information is on your desk. How would Life in U.S. be Different ? Below is a simplified version of what the Bill of Rights means 1 through 5 . Out of the first five amendments pick one and tell me in no less than 6 sentences how you life would be different. Write in complete Sentences. This amendment guarantees the right of freedom from establishment of religion, freedom of religion, freedom of speech, freedom of the press, freedom of association, freedom for people to get together peacefully, and freedom for people to send petitions to their government. This amendment states that in order to have a prepared military, people are guaranteed the right to keep and bear arms. This amendment states that the government cannot force people to house and feed soldiers in their homes during times of peace. This amendment states that people, their homes or their belongings are protected from unreasonable searches or seizures. Warrants may not be issued except upon probable cause, and must specifically describe the place to be searched and the person or thing to be seized. This amendment guarantees a person accused of a serious crime the right to be charged by a grand jury. Persons cannot be forced to give evidence against themselves. If a person is found not guilty of a crime, he/she cannot be put on trial for the same crime again. The federal government cannot unfairly take people’s’ lives, freedom or property. The government must pay a person for any property it takes for public use. Choose one Amendment read it. Tell me what rights this gives the citizens of US and how life would be different, (perhaps what could go wrong if this was not a right guaranteed by the Constitution. Remember Use an introductory Sentence Like. develop your idea and use evidence from the readings, class, movies to make your point. Use this link to take an online test on the First Five Amendments in the Bill of Rights. We are studying about Elephants. Elephants are mammals. Mammals are warmblooded. Explain what it means to be warm blooded. 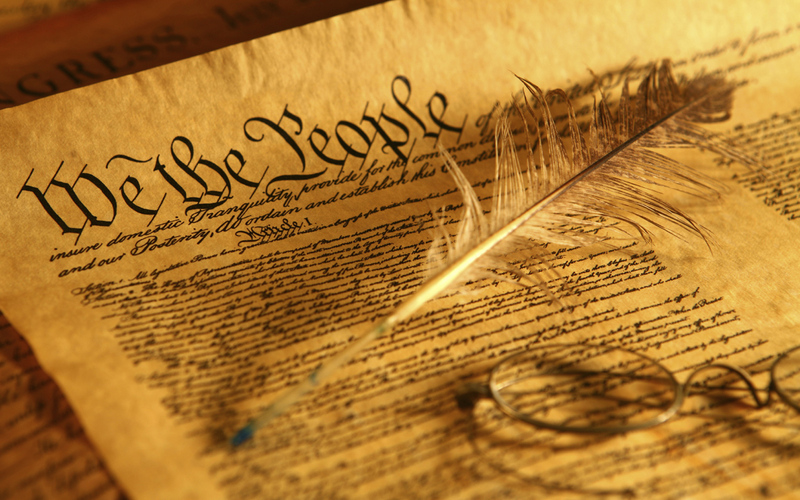 It is Constitution Day, so for the Rest of the Week it is Constitution Week! The Constitution was written in 1787. Yes, it is over 200 years old. We actually have old copies of what was created. We havepictures of the Constitution on this site. The Constitution is not perfect. When it was written, they knew that it would have to be improved. The Framers added a way to make changes. This is called “amendment”. The Bill of Rights was actually added as a set of amendments. The Constitution has been changed 18 times since it was written. The amendments added things that the Framers didn’t think of. The first amendments, the Bill of Rights, were added in 1791. The last amendment was added in 1992. Lots of people have ideas for new amendments. Adding an amendment is hard â€” it takes lots of agreement. Maybe you have a good idea for a change to the Constitution. We identified a founder father as someone who started something or contributed to the beginning of a movement. Of course we know the U.S. Founding Fathers with the big 5 being Ben Franklin, John Adams, Thomas Jefferson, George Washington and Alexander Hamilton. Should the sale of all ivory be banned? Or should countries be allowed to sell old ivory from before 1989.